Just over half the dermatologists were at “expert” level with more than five years of experience, 19 percent had between two and five years’ experience, and 29 percent were beginners with less than two years under their belt. “Most dermatologists were outperformed by the CNN,” the research team wrote in a paper published in the journal Annals of Oncology. 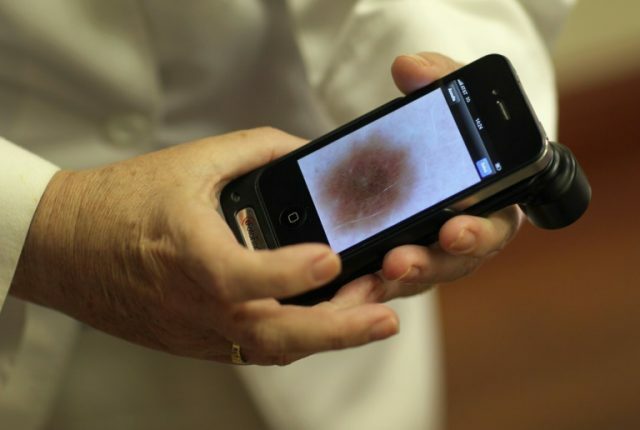 “The CNN missed fewer melanomas, meaning it had a higher sensitivity than the dermatologists,” the study’s first author Holger Haenssle of the University of Heidelberg said in a statement. The dermatologists’ performance improved when they were given more information of the patients and their skin lesions. The team said AI may be a useful tool for faster, easier diagnosis of skin cancer, allowing surgical removal before it spreads. There are about 232,000 new cases of melanoma, and 55,500 deaths, in the world each year, they added. But it is unlikely that a machine will take over from human doctors entirely, rather functioning as an aid. Melanoma in some parts of the body, such as the fingers, toes and scalp, are difficult to image, and AI may have difficulty recognising “atypical” lesions or ones that patients themselves are unaware of.